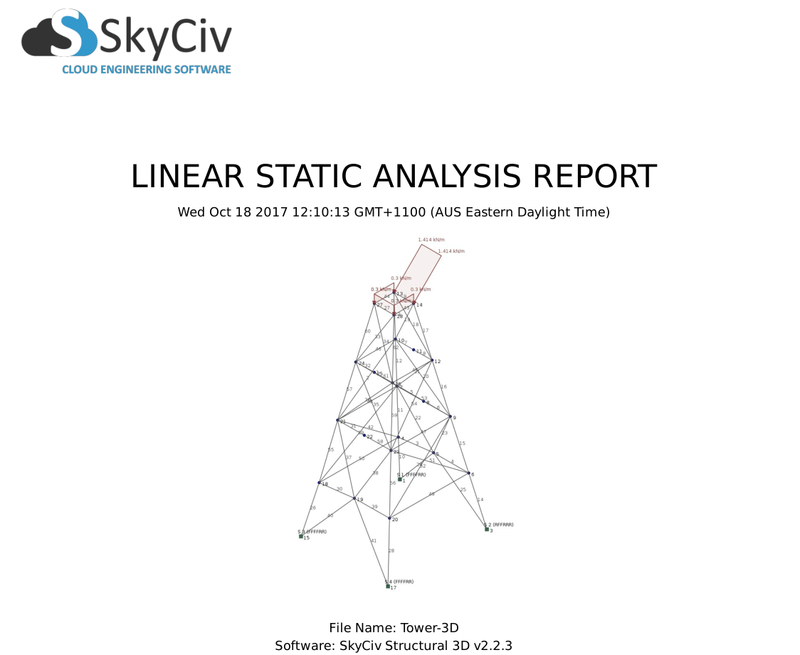 SkyCiv provides a useful summary of your structure’s results in its Analysis Report. After you have solved your model, simply click the ‘Analysis Report’ menu button on the left to open up the pop up. Firstly, be sure to select at least 1 Load Combination in the section on the left outlined in red. 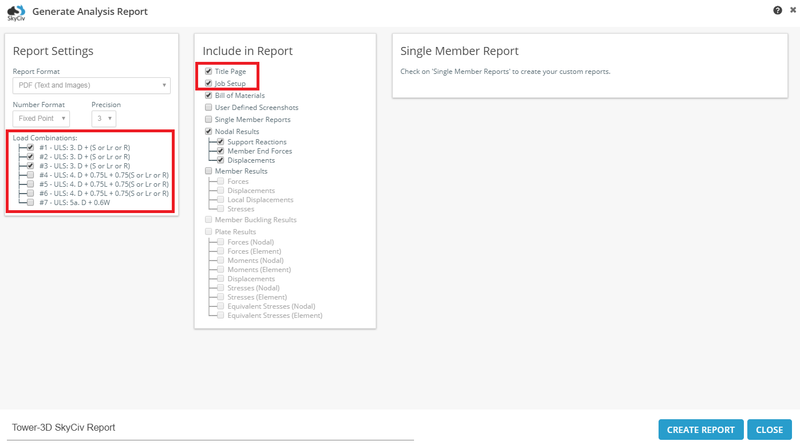 You can select multiple load combinations to create a report with sections on each of these results. Doing this however will increase the time it takes to generate the report. In this example, 3 load combinations have been selected. Whilst their titles are similar, it is because of the “Or” statement that these are unique. 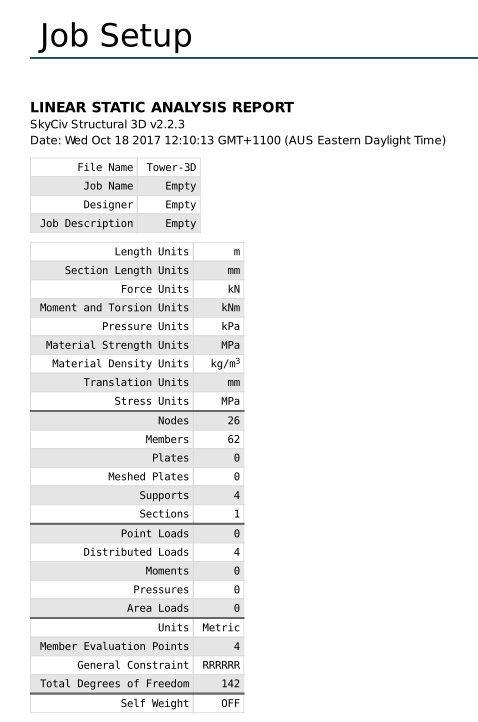 Taking a look in the middle column, checking the ‘Title Page’ option creates a nicely formated title page with an image of the structure, a timestamp for when the report was generated, and the file name and software that was used. For our Enterprise (Professional Plus) members we offer the ability to change the standard SkyCiv logo with your own company logo (or another logo of your own choosing such as from your client). 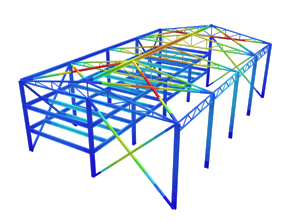 Having the ‘Job Setup’ option selected provides a summary of the unit system, nodes, members, supports, materials, sections, and loads used to model your structure. Checking the ‘Bill of Materials’ option when generating an analysis report will generate a section in your report with a table that summarizes the sections in your structural model. 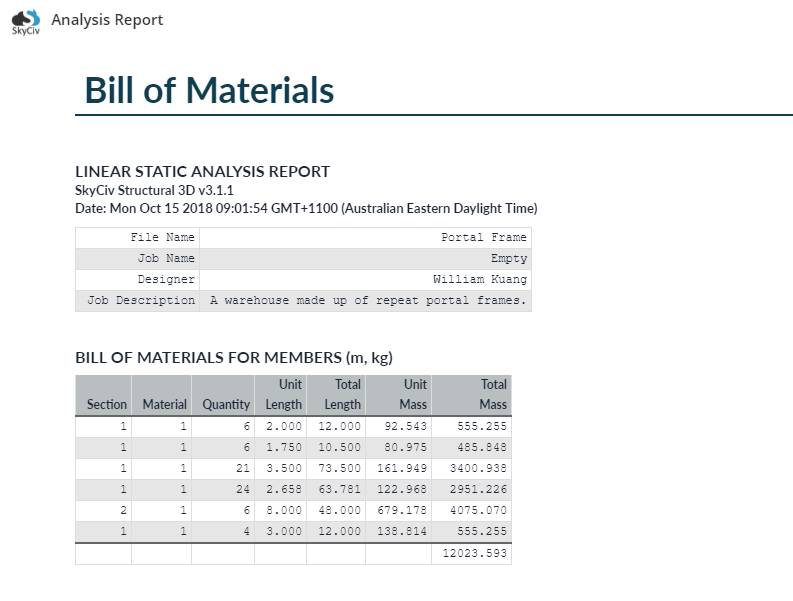 An example of a Bill of Materials section generated for the report. Each row in the table represents a section ID, subgrouped by the length of the member. In the example here, rows 1-4 and 6 all have section ID 1, but have different lengths. The quantities of these members, of the same length and same section ID are shown along with their unit mass and total mass (based on the material density given). All of the members that use section ID 2 have the same length, so they are all grouped in row 5 here.